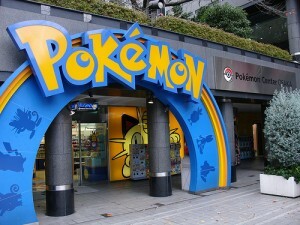 Unfortunately, there is no permanent Pokemon theme park in Japan, but there are the Pokemon Centers where you can get exclusive Pokemon goods, interact with other players, download special items for the DS games, and so on. 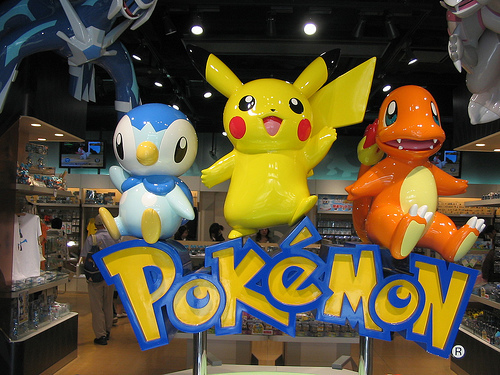 The Pokemon Centers are the official Pokemon stores under the direct management of The Pokemon Company. The stores are in 6 locations, Tokyo, Osaka, Nagoya, Fukuoka, Yokohama and Sapporo. They occasionally hold special events where they distribute free data for Pokemon games, provide mini games with prizes, and teach Pokemon card game for children.